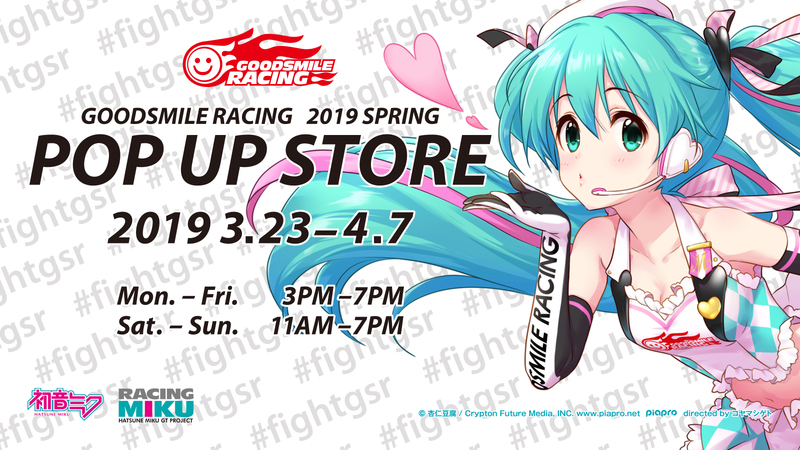 From March 23 to April 7, 2019, “GOODSMILE RACING 2019 SPRING POP UP STORE” will be held at Akiba CO Gallery. We look forward to seeing you there! In addition, Racing Miku Supporters 2019 will be organizing signing events on March 23 (Saturday) and March 24 (Sunday). A live stream of the event on March 23 has also been planned, so please stay tuned! ※Please take note that this stream is not broadcasted at Akiba CO Gallery. ※Please note that the above schedule is subject to change.